Mystery at Midge Bay, a documentary which may rewrite New Zealand’s history books, will hold its premiere at The Kumara Box near Dargaville, writes Rose Rees-Owen of The Kaipara Lifestyler. Writer, historian, and co-producer, Winston Cowie said he and director, David Sims wanted to take an independent look at the shipwreck washed up on the Pouto Peninsula…. He began researching part time in 2008 and sort the help of local historians, Ron Halliday, Al Willcocks, Ian Godfrey, Logan Forrest and Noel Hilliam who retrieved a piece of the wreck from Midge Bay in 1982. “I chose the Kumara Box to give those of the locals involved and their families the first opportunity to see it. 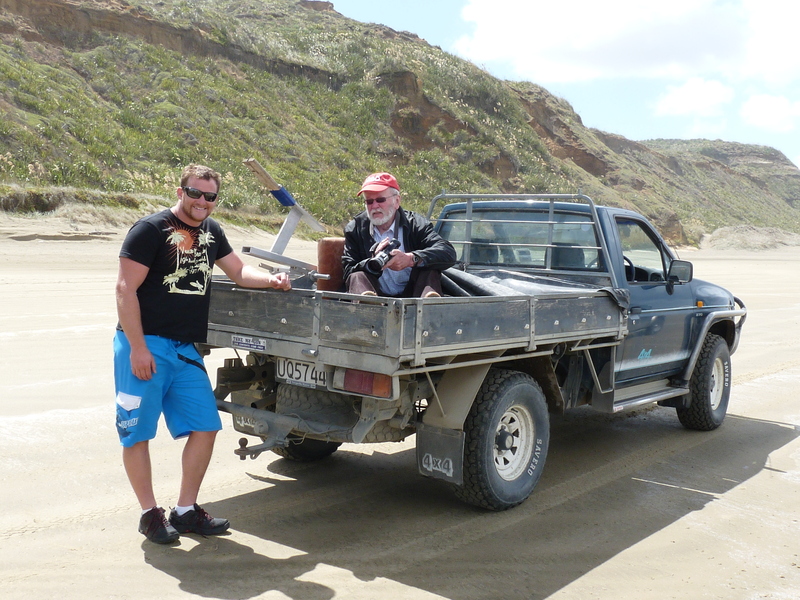 For the full story, written by Rose Rees-Owen, of The Kaipara Lifestyler, click here or visit www.solarisfilms.co.nz.